VINHOMES 2 REAL ESTATE TRADING COMPANY LTD.
Vinhomes Golden River is a villa project developed by VINHOMES 2 REAL ESTATE TRADING COMPANY LTD., Vinhomes Golden River construction was completed in 2018. Vinhomes Golden River at District 1, Ho Chi Minh has the following facilities: air conditioning, bbq area, cctv, fitness, garden, library, parking, playground, security, swimming pool, tennis and wi fi. VINHOMES 2 REAL ESTATE TRADING COMPANY LTD. has also developed projects such as Vinhomes Central Park, and Vinhome Green Bay. There are 162 houses for rent in Vinhomes Golden River available from ₫18,500,000 to ₫90,792,000 per month (based on 1 year rental term). 2 BEDS WITH DOUBLE VIEWS AT VINHOMES GOLDEN RIVER. Vinhomes Golden River apartments for sale have 2BRs 83sqm. QUICK MEMBER OF SAI GON MEMBER HANDICAPPERS. Selling a 1-BR-unit with Bitexco view. 2BR condo for sale in CBD - from US$ 3,800 per sqm. 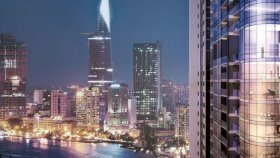 Offer the highest yield in Ho Chi Minh City. Vip Luxury Apartment Golden River Vinhomes 6 in 2 bedrooms. LIFE LIFE AT 7TH CENTER IN SAI GON CENTER. Apartment for sales - Vinhomes Ba Son D.1 HCMC. Vinhomes Golden River is designed luxury and luxury. VINHOMES GOLDEN RIVER SAI GON RESTORATION LIFE. Apartment 02 Bedrooms for Sale in Bason Golden River Saigon. shophouse Vinhomes Bason for sale. Golden river your life class. Shop for sale at the center of Ho Chi Minh. BEST PRICE OF THE SAI GON BEST PRICE. Vinhomes Golden River apartment project- DISTRICT 1. 3 bedrooms Corner luxury apartment, on the 3rd floor. RENTAL APARTMENT Vinhomes Golden River - Aqua Tower 1. 3BR river-view condo in Golden River - located in CBD (D.1). 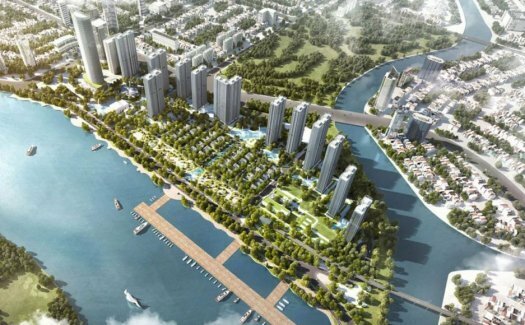 VINHOMES GOLDEN RIVER, LIVING LIFE OF SAI GON RIVER. THE CENTENNIAL SUPER APARTMENT DISTRICT I, HCMC. Riverfront 3BR condo in Vinhomes Golden River - District 1. Alpha Riverside Ba Son (The Centennial) accepts booking. Vinhomes Golden River is designed luxury and luxury,. class and position gold river in the center of District 1. 3 BEDROOM UNIT AT VINHOMES GOLDEN RIVER. vinhomes bason (Vinhomes gonden river). 1 Bdrm Unit for Sale at Vinhomes Golden River. Spectacular 3 Bdrm Riverside Unit for Sale. Vinhome Golden River 2 bedrooms, allow oversea buyer to buy. Vinhomes Golden River in Dist 1, 1 bed on high floor. 3 bedroom apartments with a corner location. 4 bedroom apartment in the beautiful Golden River Vinhomes. 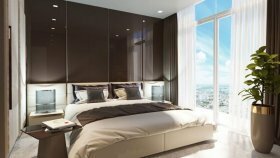 The Centennial open for sell in Central of Ho Chi Minh City. HIGH QUALITY APARTMENT APARTMENT IN DISTRICT 1 PRICE. The most luxurious apartment in vinhomes golden river. Riverfront 1BR for sale in CBD of HCMC - from 4,3 bil. 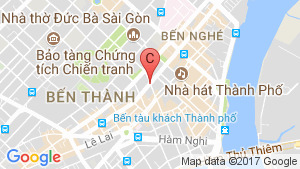 VND. I need to sell 3PN Ba Son apartment, cheapest price. 2BR apartment for sale in CBD, district 1 - Golden River. The project from Keppel Land. HIGH QUALITY OFFICE PRICE AT DISTRICT 1 BEST PRICE. BASON VIEWS BASON, DISTRICT 1-GOOD PRICE. Vinhomes Golden River Ba Son, Ton Duc Thang Street, District. LIFE IS LOCATED IN COUNTY DISTRICT 1- BASON. District 1 center, Glod standard. Welcome to SAI GON - DISTRICT 1. Vinhomes Golden River 1 bedroom apartment for sale good pric. 2 bdr apartment in Vinhomes Golden river, district 1. APARTMENT 2 BEDROOMS FULLY FURNISHED DISTRICT 1 SAIGON. APARTMENT 2 BEDROOMS FULLY FURNISHED FOR RENT DISTRICT 1. DISTRICT 1, VINHOMES GOLDEN RIVER 2-BEDROOM APARTMENT. VINHOMES GOLDEN RIVER 2 BEDROOMS WITH 32,3MIL/MONTH. Apartment for rent at Aqua 2 Vinhomes Golden River 2Beds. Vinhomes Golden River apartment for rent 2bedrooms. Apartment 2 bedrooms, D1, HCMC. VINHOMES GOLDEN RIVER 2B,2B SUPERIOR WITH 34,5 MIL/MONTH. Apartment 2 bedrooms for rent,District 1, along Saigon river. APARTMENT 2 BEDROOMS FOR RENT, DISTRICT1, ALONG SAIGON RIVER. VINHOMES GOLDEN RIVER 2BED FOR RENT WITH 34,5MIL/MONTH. Booking Apartment 02 Bedrooms for rent in Saigon District 1. Vinhomes Golden River (Ba Son) 2BR for rent (HCM city). 3BRs riverfront condo for rent in D.1 - fully furnished. Serviced apartment for rent 2 bed at Vinhomes Golden River. Apartment 2 bedrooms district 1. 3 bedroom apartment in Vinhomes Golden River for rent. Luxury amenities 02 bedrooms Apartment for lease in Saigon. VINHOMES GOLDEN RIVER 1BED, 1 BATH ELEGANT WITH 27,6MIL/MON. A lovely place to live with amazing Saigon river view. 2BR at Vinhomes Golden River, fully furnished, $1200/month. 2BR Apartment for rent in Vinhomes Golden River, D1, nice furniture. VINHOMES GOLDEN RIVER 2BED FOR RENT WITH 29,9MIL/MONTH. Serviced apartment for rent in Vinhomes Golden River 1brs. District 1 - Apartment 2 BR full furniture - Golden River. APARTMENT 2 BEDROOMS FOR RENT, DISTRICT1. For Rent: 2 Bedrooms Luxury Apartment for Rent in Vinhomes BASON DISTRICT 1. Apartment for rent at Vinhomes Golden River with 2 bedrooms. 2 Bedrooms 76m2 in Golden River District 1 Furnished Leasing. Apartment for rent river view at Vinhomes Golden River 2Beds. 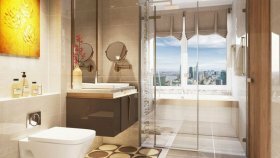 GORGEOUS 3 BEDROOM APARTMENT WITH LANDMARK 81 VIEWS. Vinhomes Golden River apartment for rent 3 bedrooms at Aqua4. Vinhomes Golden River apartment for rent 3beds river view. APARTMENT 3 BEDROOMS FULLY FURNISHED FOR RENT DISTRICT 1. SPACIOUS, MINIMALIST 3 BEDROOM APARTMENT, CENTRAL D1. 4 bedroom apartment for rent in Vinhomes Bason, good price. Charming apartment for rent in Vinhomes Golden River. Apartment for rent in Vinhomes Golden River 157m2, 3000$. Vinhomes Golden River apartment for rent with 3 bedrooms. Vinhomes Golden River Aqua4 tower apartment for rent 3Beds. Apartment Vinhomes Ba Son Aqua 2 tower for rent 4 beds. APARTMENT 4 BEDROOMS FOR RENT, DISTRICT1. BEST OF THE BEST: 4 BEDROOM PENTHOUSE SUITE WITH 180° VIEWS. BRIGHT AND SPACIOUS 3 BEDROOM APARTMENT IN D1. Apartment 03 bedrooms, District 1, Ho Chi Minh city. Apartment for rent at Vinhomes Golden River including 3 beds. Apartment in Vinhomes Golden River for rent 2 bedrooms. 3 Bedroom with Open-river View Apartment - Golden River. Apartment for rent at Vinhomes Golden River 3 bedrooms. Apartment for rent 2 beds nice view Vinhomes Golden river. For rent apartment with 3 bedrooms at Vinhomes Golden River. APARTMENT 3 BEDROOMS FOR RENT, DISTRICT1. Apartment for rent 2 Beds at Vinhomes Golden River. QUIRKY 3 BEDROOM APARTMENT WITH 180° VIEWS. Apartment with 3 bedrooms for rent at Vinhomes Golden River. An ideal apartment to stay at dist 1 central with super nice SG river view and easy going to other area surrounded. 3BR at Vinhomes Golden River, fully furnished, $2400/month.. APARTMENT 2 BEDROOMS FULLY FURNISHED DISTRICT 1. Fully furnished 2 bedrooms Apartment for rent in District 1. 3 Bdrm Apartment for Rent at Golden River in D1. Luxury 3 bedroom apartment for rent in Vinhomes Golden River. Two bedroom fully furnished flat for rent at VINHOME GOLDEN RIVER. Rent For Vinhomes Golden River-2 Bedrooms- Full Furnished. Elegant & modern apartment for rent at VINHOMES BASON. 2 Bedroom Vinhomes Golden River Apartment For Rent. One bedroom beautiful flat for rent - VINHOMES GOLDEN RIVER. 1 bedroom apartment for rent at Vinhomes Golden River. FOR LEASE THE APARTMENT VINHOMES GOLDEN RIVER- 2 BEDROOMS- FULL FURNISHED. 1 bedroom smart apartment for rent at Vinhomes Golden River. VINHOME GOLDEN RIVER – 3 bedrooms comfortable & luxry apartment for rent. 1 bedroom apartment for rent in Vinhomes Golden River. VINHOME GOLDEN RIVER – spacious & modern 3 bedroom apartment for rent. 2 bedroom for rent at Vinhomes Golden River, good view. Vinhome Golden River 2 Bedrooms bright and cozy. Vinhome Golden river 2 bedrooms fully funrnished, morden. 3 bedrooms smart apartment for rent at Vinhomes Golden River. Vinhome Golden river 2 brs Luxury view exclusive. 3 Bdrm Apartment for Rent at Stunning Golden River. 3 Bdrm Apartment in Golden River. Vinhome Golden river 1br luxury with river view. 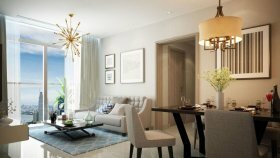 Vinhomes Golden River 2 bedrooms unique design river view. Vinhome Golden River 1 bedroom fully furnished spacious area. Furnished 3 bedroom apartment for rent:Vinhomes Golden River. Vinhome Golden River 2 bedrooms FULLY FURNISHED & INTENSE. 2 bedroom apartment for rent in Vinhomes Golden River. Vinhomes Golden River 3 Bedroom available. 3 bedroom fully furnished apartment for rent at Vinhomes Gol. Vinhome Golden river 1bedroom exclusive river view. Vinhome Golden river 1bedroom exclusive luxury river view. Vinhome Golden river 2 brs exclusive EXTREMELY ARTISTIC. Vinhome Golden river 2 bedrooms FULLY FURNISHED & STRIKING. Vinhomes Golden River fully furnished. 2 bedrooms smart apartment for rent at Vinhomes Golden River. VINHOME GOLDEN RIVER – 2 bedrooms polished apartment to lease. VINHOMES GOLDEN RIVER APARTMENT 1 BEDROOMS - FULLY FURNISHED. [Good Price] - 2 Beds Vinhomes Golden River For Rent - 1100$. Apartment for rent in Vinh Son Ba Son with 2 bedrooms. Apartment for rent at Vinhomes Central Park with 2 bedrooms. Apartment for rent in Vinhomes Ba Son 2 best price. Apartment for rent Vinhomes Golden River 2 bedrooms. APARTMENT 1 BEDROOM FULLY FURNISHED FOR RENT DISTRICT 1. VINHOMES GOLDEN RIVER 2BED FOR RENT WITH 25,3MIL/MONTH. RENT VINHOMES GOLDEN RIVER 1 BEDROOM WITH 25,3MIL/MONTH. VINHOMES GOLDEN RIVER 2BEDS FOR RENT WITH 25.3 MIL/MONTH. VINHOMES BASON GOLDEN RIVER 2 BEDROOMS- FULLY FURNISHED. Vinhomes Golden River apartment for rent 1 bedroom view city.